Pastoral support for EU citizens living in Wales as they prepare to apply for Settled Status in order to remain in the UK. Pastoral support for UK citizens living in the EU, who in many cases face continuing uncertainty as national, regional and local authorities decide how to accommodate UK citizens once they are no longer automatically entitled to residence as EU citizens. How churches might work with other faith communities and with local and Welsh Government’s planning for civil contingencies. Some of these may be predictable, and are outlined below; others may be completely unexpected. How churches might work with others to facilitate healing and reconciliation of the deep divisions in our society over Brexit, and respond to any deepening of those divisions around the time of the UK’s exit from the EU. Cytûn will continue to support all our member churches and organisations in this work, recognising that it is local churches, clergy and church workers who will be in a position to help those in immediate need. At the time of writing, the UK is scheduled to leave the European Union on the 29th of March 2019 at 11pm. If no formal withdrawal treaty has been ratified by this date and time, all EU rules and regulations will cease to apply to the UK at once. This would instantly remove any agreements between the two parties about how to manage, amongst other things, customs, travel rights and trade. It would remove the proposed transition period (which was proposed to give organisations and businesses more time to adjust to the changes). Without both sides agreeing to a deal, the UK would need to abide by World Trade Organisation (WTO) rules, facing the same customs checks and tariffs as non-EU countries. Critics have suggested that these increased checks could lead to shortages in certain key areas such as medicine, as well as long queues for transport. Why does this matter for Wales? The Welsh Government has been clear since the EU Referendum that a disorderly Brexit would cause chaos in Wales. Mark Drakeford, the First Minister of Wales, maintained that “I do not accept no-deal is inevitable” after postponing most Senedd business on the 22nd of January for the sake of No-Deal Brexit preparation discussions. He has hinted at supporting a second public vote to break the deadlock if necessary, calling for a No-Deal to be ruled out. The Labour-led government has been repeatedly criticised for “scaremongering”, in the words of UKIP group leader Gareth Bennett, in their preparations for a No-Deal Brexit. What is the Welsh Government doing? As the likelihood of a No-Deal scenario has become more likely, the Welsh Government has launched the Preparing Wales website, outlining a number of preparations to try to mitigate as much potential impact as possible. Preparing ports: The EU plays a key role in aviation, maritime and road transport. International law provides some fall-back support, but it varies by mode of transport. Some of the key issues raised by the Committee were: the capacity of Welsh ports to cope with a possible increase in traffic, communications between stakeholders, as well as technical solutions for future customs arrangements. The Welsh Government accepted all seven recommendations. Ken Skates, Minister for Economy and Transport’s statement during Plenary argued that ports in Wales “make a critical contribution to our economy”, by “providing jobs and added value to local communities”, and that affecting their “efficient operation” poses a substantial risk for Wales as a whole. Healthcare and medicines: The status of healthcare and medicines poses particular difficulties. The Committee’s recommendations focused on areas such as medicine supply and mutual recognition of standards. Once more, the Welsh Government accepted these recommendations. The UK Government is currently seeking arrangements with countries in the EU/EEA and Switzerland for the continuation of healthcare for British nationals in the event of a No-Deal. Vaughan Gething, Minister for Health and Social Services also said that any changes to migration policy “will be most keenly felt in those parts of the health and social care sector which depend on lower-paid workers”, which would lead to “delayed discharges and increased pressure”. Food and drink: The food and drink sector is one of the most closely-integrated with the European Union, with supply chains spanning the Single Market, free movement of labour and aligned regulatory standards. Some Welsh producers also take part in the EU’s schemes of protected geographical indicators for food. It is expected that this sector will face particular difficulties in a No-Deal scenario. Committee recommendations were accepted once more, including asking the Welsh Government to outline details of their plans to support business to mitigate the effects of a No-Deal Brexit on food supplies. Calling on the UK Government to lift the benefit freeze from April 2019 and to end the five week wait for a first Universal Credit payment to make sure everyone has enough money coming in to cover the essentials and create a future where no-one needs a food bank’s help. There must be additional protection and support in place to ensure people are not swept into poverty as Brexit unfolds. Working hard to engage the Trust’s corporate partners and investigate what supermarkets can do in the event of a ‘no-deal’ Brexit to secure food supplies for food banks – whether this be additional supermarket collections, direct deliveries to food banks, or another form of support. Looking at how we distribute food better between food banks to ensure supplies are evenly distributed and everyone can access emergency food. The church representatives agreed that all church-run Foodbanks, including those outside the Trussell Trust network, could usefully take similar steps, and emphasized the importance of good co-ordination between all suppliers of emergency food. Lesley Griffiths, Minister for Environment, Energy and Rural Affairs, confirmed that: “my officials are working closely with the UK Government on emergency planning to… ensure an uninterrupted energy supply and, with Dŵr Cymru (Welsh Water) and Hafren Dyfrdwy (Severn Trent Water) to secure our water supply”. Julie James, Minister for Housing and Local Government, discussed civil contingency plans for an Emergency Coordination Centre, which could be mobilised (if necessary) to support public services in the event of a No-Deal. She also confirmed that the Hate Crime Criminal Justice Board Cymru has recognised “the possible impacts of Brexit and of hate crime targeting ethnic and religious minorities”, referring to the EU Citizens Rights Project (£1.3m) that will support access to key services and ensuring continued settled livelihoods in Wales. Counsel General and Brexit Minister Jeremy Miles suggested that a No-Deal Brexit would mean “fewer jobs, lower incomes, and a greater risk of poverty in communities throughout Wales”, asking the UK Government to release funding to help support businesses and other key partners to mitigate any negative impact. 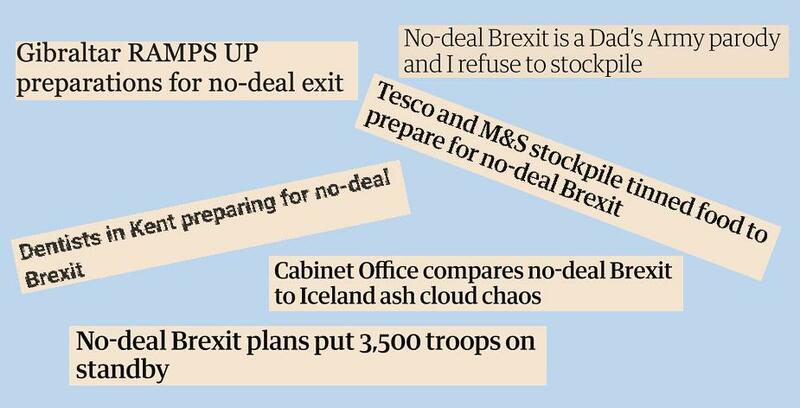 The UK Government began publishing guidance for preparing for a No-Deal in Autumn 2018, explaining: “as a responsible government we have spent more than two years carrying out extensive preparations for all scenarios, including no deal”. These preparations are sure to increase as the 29th of March approaches. However, at the time of writing, much depends on the outcome of the Prime Minister’s further negotiations with the European Union to renegotiate the deal after votes on amendments in the Commons on the 29th of January. A deal could yet be agreed, but if not, the UK and Welsh Governments are starting to prepare for any eventuality. With thanks to George Watkins for researching the briefing paper on which this is based. On January 31, speaking at one of her first engagements as the new Minister for International Relations, Eluned Morgan AM said: “At this crucial moment when the relationship between Wales and the rest of the world will be determined – we are keen in the Welsh Government to send a message out loud and clear that whatever the outcome of the Brexit negotiations – we in Wales will not be turning back on the world and in particular on our nearest and closest neighbours in the European Union.” She said she would soon launch a consultation on a new International Strategy for Wales. The Free Church Council of Wales (which brings together nine of Cytûn’s member churches) welcomes the publication of the Welsh Government’s White Paper, Our National Mission: A Transformational Curriculum. We are grateful to Welsh Government for its engagement with churches and other faith groups during the development of the new curriculum for schools and are glad that a number of our concerns and suggestions have been taken into account. We warmly welcome the retention of Religious Education (RE) as an integral part of the new curriculum and its extension to nursery classes in maintained schools, as understanding different religious ways of understanding the world is more important than ever in contemporary Wales. We welcome too the retention of local Standing Advisory Councils for Religious Education (SACREs) which help ensure county ownership of RE taught in schools. We also welcome the decision to publish a national supporting framework to help SACREs develop their local county syllabuses. We look forward to contributing to the development of this new framework. We note that it will contain guidance on teaching about non-religious world views. While we accept that these have a place in the curriculum, we would caution against Religious Education being required to give equal emphasis to non-religious world views, any more than the Science curriculum should give equal emphasis to non-scientific world views. We note that the Welsh Government has decided to consult on the right of parents to withdraw children from RE and from Relationships and Sexuality Education. We encourage our member churches and individuals to engage with the Welsh Government’s consultation that continues until March 25, and in the consultation on the draft of the curriculum itself, due to be published in April. The liveliest public discussion following publication of the White Paper related to the apparent requirement on Welsh medium nurseries and foundation classes to teach English to pupils. The Welsh Government subsequently included on the consultation webpage a statement clarifying the Welsh Government’s intention for Welsh immersion to continue under the new curriculum arrangements. A link to the statement has also been included in the White Paper alongside the relevant bullet in para 3.79. The Independent Inquiry into Child Sexual Abuse has launched a landmark television public awareness campaign to ensure victims and survivors of child sexual abuse have the opportunity to be heard at the Truth Project. The Truth Project enables victims and survivors to share what happened to them and make suggestions to help keep children safer in future. 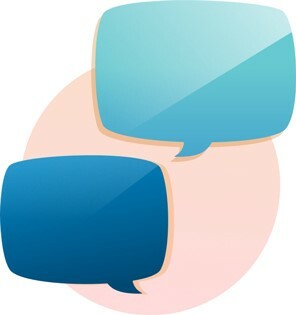 People can share their accounts in writing as well as in person or over the phone. The campaign was created in consultation with victims and survivors to ensure it truly reflects the thoughts, experiences and opinions of those who have been affected by child sexual abuse. The TV campaign continues until the end of February, the advert can be found on the website – https://www.iicsa.org.uk/ A longer version can be found on the Truth Project website. The Project has published new Experiences Shared. The anonymous accounts depict victims’ and survivors’ experiences in various institutions, including schools, young offender institutions and places of worship. The Welsh Government is currently consulting on its Draft climate change adaptation plan for Wales. Although written in the usual measured language of a Government consultation, it makes sobering – and even alarming – reading. 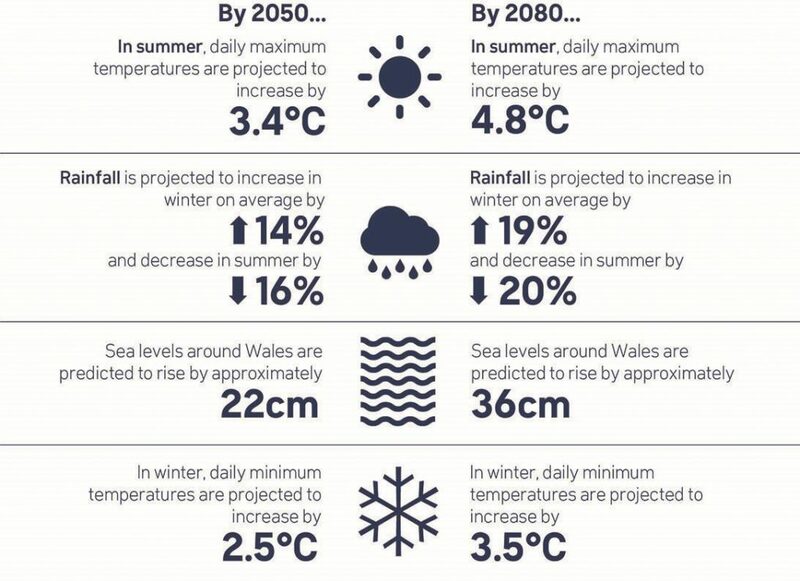 It lays out the likely effects on Wales of climate change which has already been caused by human activity and is likely to be caused in the coming years, how Wales will need to adapt to it and what the Government plans to do. The document will be updated in the light of the UKCP18 projections by the Met Office (November 2018). Taken with the latest reports from the Met Office (February 2019) and the Intergovernmental Panel on Climate Change (IPCC) they imply that the projections used by Welsh Government may be rather optimistic. The Welsh Government’s Plan identifies actions to mitigate these risks. It points out that some actions will also help to avoid further increases in carbon emissions causing climate change – for example, better insulation of homes, and ensuring that peat bogs remain moist in dry summers and do not start to emit (rather than store) carbon. Some risks affect iconic aspects of Wales – such as the Wales Coastal Path, which is vulnerable to sea level rise and stormy weather. Ocean acidification will affect marine life around the Welsh coasts. Wildlife habitats and some species are at particular risk. People are also affected, of course – as all those who suffered the effects of the hot summer of 2018 will testify. Such summers will become common, with the resultant effects on physical and mental health. The historic environment (including historic places of worship) will be affected in various ways, and the Plan details these. Cytûn plans to respond to this consultation and will welcome comments from readers by the end of February 2019 via gethin@cytun.cymru . For the Christian churches, the challenge of climate change is not one for political action alone. It requires also prayer – after all, the world is part of God’s creation – and personal penitence and commitment to change. Lent (March 6 – April 20 in 2019) is the season of the year when Christians especially seek God’s help to change themselves in order to change the world. For Lent 2019, Cytûn member organisations have produced resources to focus our prayers for change on the changing climate. Christian Aid focusses its annual Count Your Blessings resource on a call to Rise up against climate change. This material provides a daily Lenten discipline, and is available in both English and Welsh. The Joint Public Issues Team of Cytûn members the Methodist Church, United Reformed Church and Baptist Union of Great Britain (together with the Church of Scotland) has produced a dedicated website called Living Lent, which encourages us to act in one of six areas of our lives during Lent 2019 – plastics, meat, transport, energy, living locally or even buying nothing new. Each person who has a go at these changes in their own lives will be contributing to a climate of change. The Policy Bulletin would be glad to hear of readers’ experiences of trying any of these Lenten disciplines. Please share your experiences with us using the contact details below. Meanwhile, a number of leaders from churches across Britain and Ireland will be meeting in February to discuss and pray about what further steps churches should be taking. Publication date: 28 March 2019. The next Bulletin will be published early in May 2019.